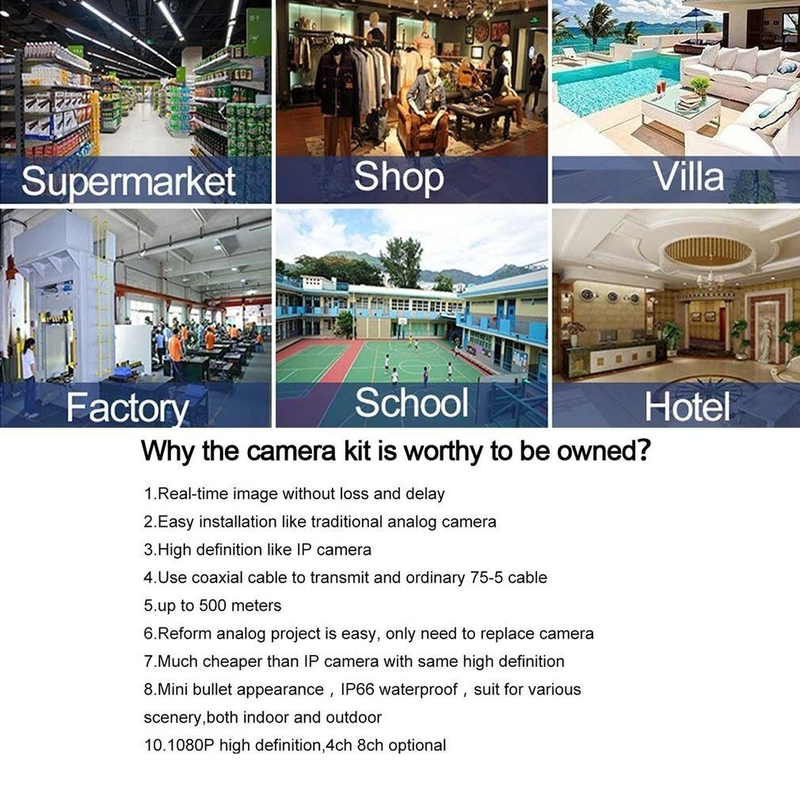 IP66 heavy-duty metal indoor/outdoor weatherproof cameras, and powerful IR-LED night vision. Ideal for home and business security. 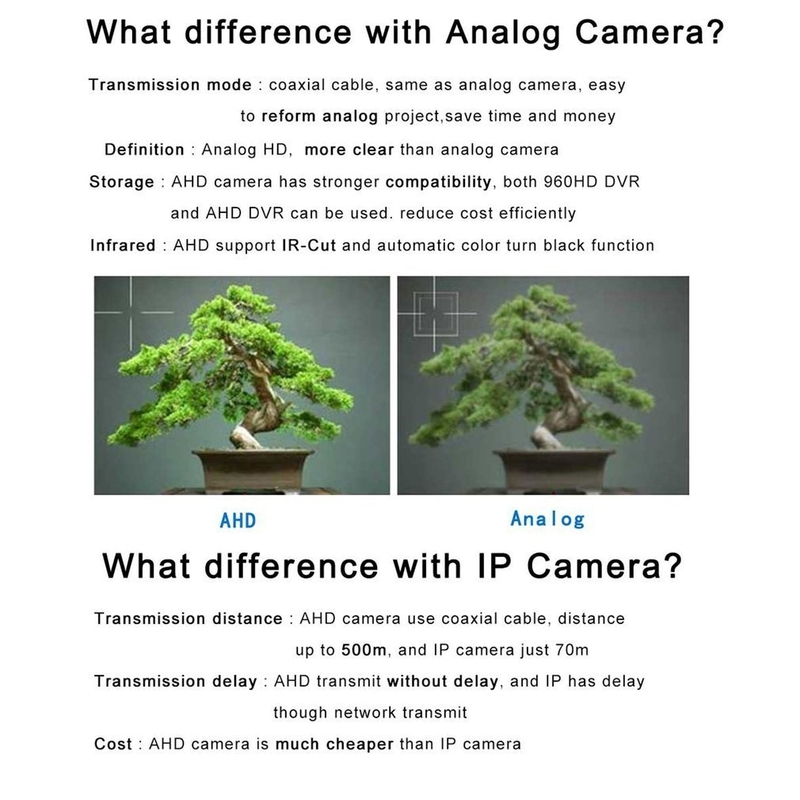 High definition image sensors, premium lens and advanced image processing technology pave the way for stunning. Smooth and clear on-screen movements make sure you can monitor your place in real-time and never miss a beat. 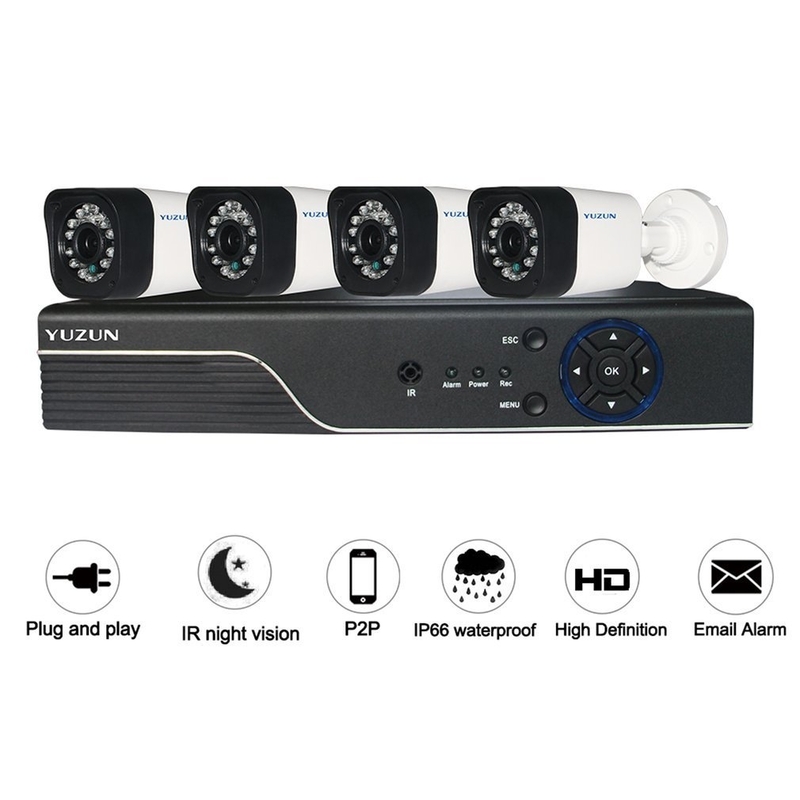 YUZUN AHD HD Monitoring Suite series is 720P (1280*720), 960P (1280*960), 1080P (1920*1080) AHD high-definition camera set, is equivalent to network high-definition products. Adopt coaxial transmission line, up to 300 meters, has a stronger anti-interference ability. With high performance infrared 850nm wavelength light source . In low light and no light conditions, automatic sensor detection and open (night) or off (daytime) infrared light, infrared distance can reach 10 to 30 meters. Built in electromagnetic drive type IR – Cut, camera infrared light source, IR-Cut, camera color switch to black synchronization, daytime image more beautiful, night effect is more clear. 3D digital noise reduction, night vision enhancement, effectively suppress noise. Using H.264 compression algorithm and embedded Linux real-time operating system, compression ratio is high, stable and reliable operation. 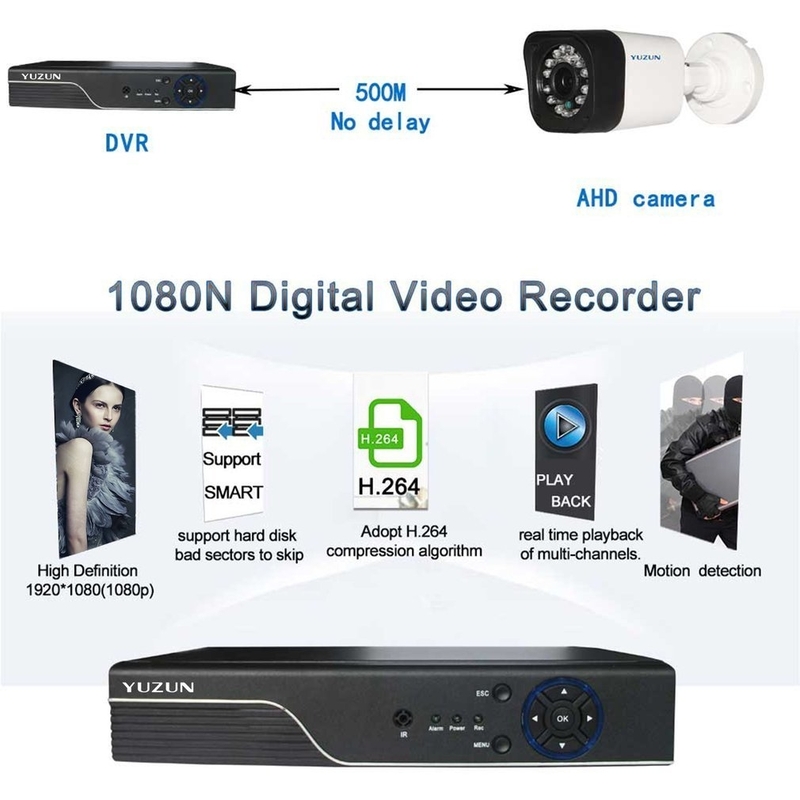 Support real-time video encoding, decoding the real-time multi-channel synchronous playback.